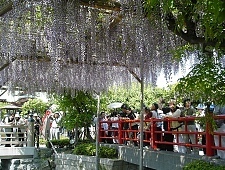 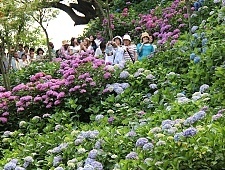 Meigetsuin is also known as “Ajisaidera”, meaning “Hydrangea Temple”. 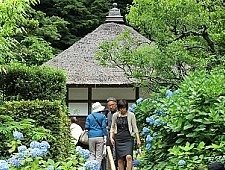 This is because hydrangea bloom in abundance at the temple during the rainy season around June, and they usually attract large numbers of visitors. 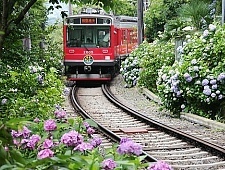 A ride on the Hakone Tozan Railway, Japan’s oldest mountain railway, is a treat for more than just railway fans. 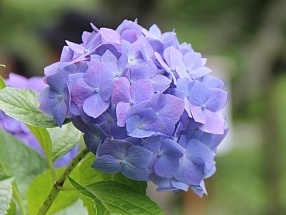 The ride is especially beautiful in June and July when thousands of hydrangea are in bloom along the tracks and are illuminated during the evenings. 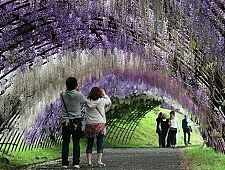 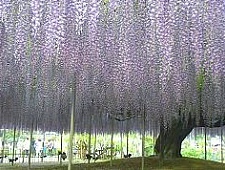 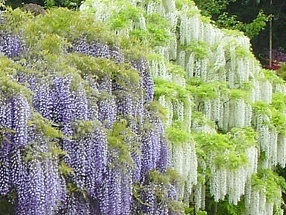 The Kawachi Wisteria Garden is a private garden in the mountains just outside central Kitakyushu that is known for its long tunnels of pink, purple and white wisteria blossoms. 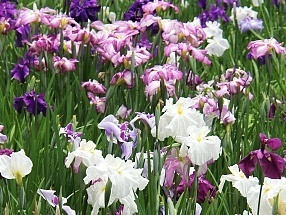 The garden has become extremely popular and gets crowded with flower hunters from late April to mid May. 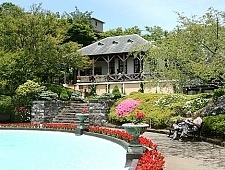 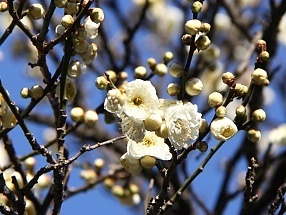 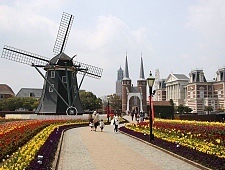 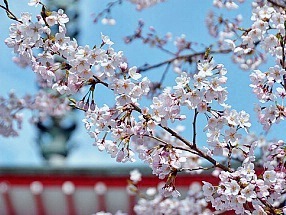 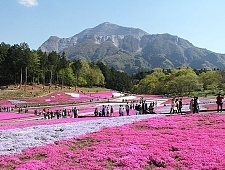 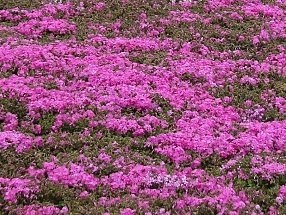 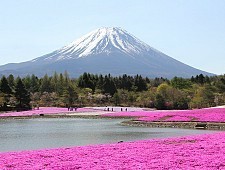 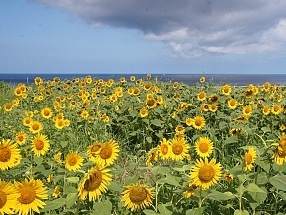 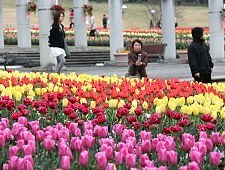 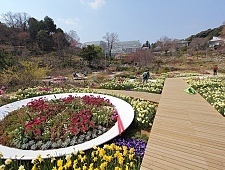 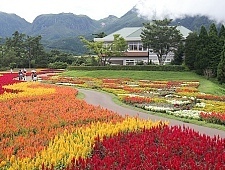 Flower Park Kagoshima is located near the southern tip of theSatsuma Peninsula. 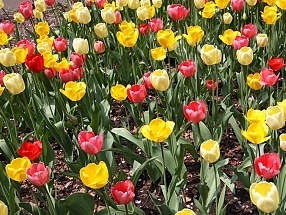 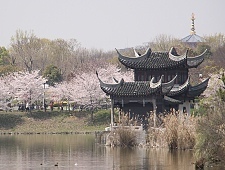 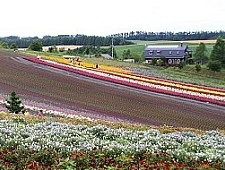 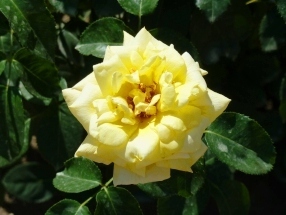 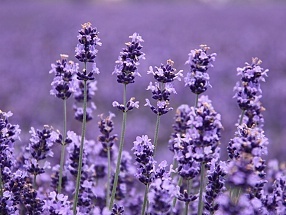 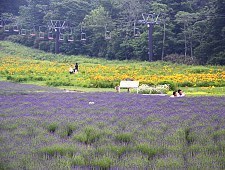 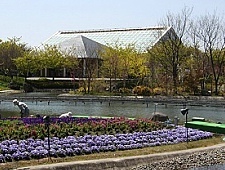 It is a large, attractive park with about half a million plants of more than 2400 varieties.